I by mistake ended up with 1 password 7 when I tried to fix an apparent problem with 1Password after updating my Mac to Mojave. Then realized I had ended up with 1 Password 7. Now can’t get 1 password 6 back on my Mac. Beyond frustrated as It has all the passwords. I still have it on my phone and iPad... but it is useless if I can’t have it on my computer. App Store does not offer 1 password 6 app any more. @cqellis - 1Password on the Mac App Store is like any other app -- you can only download (or purchase) the current version from the main store. If you previously downloaded/purchased an earlier version, you should be able to visit your purchase history (in Mojave, this is found by clicking your name/account in the lower-left corner of the Mac App Store window), and searching manually through it for 1Password, then (re) installing from there. Hope that helps! @cqellis - you're quite welcome, glad that worked for you. I should caution you that especially if you are a Safari user, there may be a limit on how long 1Password 6 for Mac will work in macOS 10.14 (“Mojave”). Apple made significant changes to the extension format in Safari, going from the old familiar .safariextz style of extension we (and everyone else) has been using for years, to the newer Safari App Extension format. Version 7 of 1Password has this newer format available, but as Mojave was released after version 6 was already retired, version 6 doesn't and likely never will. For the moment, Apple is still allowing users to install the older style of extension into Safari 12...but we don't know for how much longer that will be the case, and Apple have already indicated their plans to shutter the Safari Extensions Gallery, which is the only place you can still get the older version. So it may be time to upgrade to 1Password 7 for Mac anyway, in the not-too-distant future. Thanks - I am getting that feeling as an error message comes up every time I use the extension now. Thanks. @cqellis - I'm not quite sure why that would be, since as of yet, Apple has not "turned off" support for the older-style Safari extensions in version 12. What error message do you see, and how are you trying to use the 1Password extension - what steps specifically are you taking that lead to this error message? It happens when I get to the password part of logging in for some of the logins. I just tried 15 different logins both it happened for 12 of the 15. Interesting it still lets me login in notwithstanding the error message. As I mentioned earlier I believe it started after I upgraded to Mojave. That's an incompatibility of 1Password v6 with Mojave / Safari 12. To avoid the error please disable autosubmit in Preferences > Browsers. We'd always recommend keeping up to date with the latest versions of all of your software, but especially 1Password, your operating system, and your web browser. Curious the same message comes when I use the 1 password extension in Chrome. I have a similar issue, but I'm not sure the answers in this thread completely address it. I have multiple devices including my work iMac, Mac laptop, and iPhone running 1password V6. My home iMac crashed with no survivors, so I had to buy a new one and start from scratch. I logged into my personal Apple ID account and downloaded my apps and everything is good, except 1password. It downloaded V7 and while it allowed me to sync my main vault through iCloud perfectly, it's a Read Only version. Plus, every time I launch the app it asks me for a license number. So I'm assuming it's not possible to download V6 in anyway? At this point I am forced to use V7, and because of that I have to pay for the upgrade? Or is there some other solution? I am installing 1password on a new mac. I originally purchased it from agilebits not the mac store. Any way for me to get 1Password6 and if not, how do I convert my data without it? Welcome to the forum, @barryhus If you downloaded 1Password 7 for Mac from the Mac App Store, that means you downloaded from the main store, not your purchase history, as version 6 is no longer the current version of 1Password for Mac. To switch back to the earlier version, first quit Safari if it is running, then quit 1Password 7 Completely by typing ^⌥⌘Q (or just holding down the Control and Option keys as you choose Quit from the 1Password menu). Delete 1Password 7 for Mac (Don't use any app cleaners or uninstallers to do this, as these programs can remove more data than we want them to. Just drag the 1Password app to the Trash). Open the Mac App Store and visit your purchase history, and you'll find 1Password 6 for Mac. Click Install. That should get you where you want to be. @MontyDad - please visit our downloads page and scroll down to the "using an older computer" section. You should find what you're looking for there. BINGO! Thanks Lars, it worked perfectly and I'm up and running. @barryhus - glad to hear it! 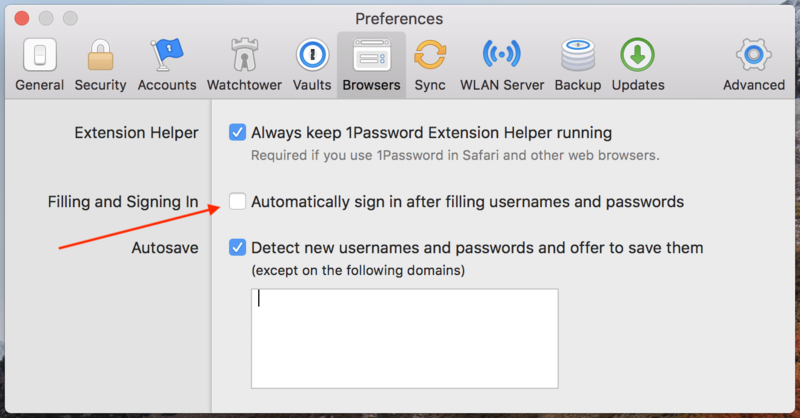 One word of caution: you didn't say what version of macOS you're using currently, but if you are already using macOS 10.14 (“Mojave”) - and especially if your primary browser is Safari - then you may get limited lifespan out of that older version of 1Password for Mac. Version 6 was retired before Apple released Mojave, and as a legacy product, it won't be receiving further development attention. In Safari 12 (which ships with Mojave), for example, Apple completely changed the extension format from the older, familiar .safariextz format to the new Safari App Extension format. For now, Apple still allows users to install the older extension (which 1Password 6 for Mac uses) via the Safari Extensions Gallery, but they plan to shutter the gallery in the future, and we don't know for how much longer this will continue to work. All of this is just to say: while I'm glad I was able to get you where you wanted to be, reverting to a previous version of 1Password isn't any kind of long-term solution for you unless you also plan to never upgrade your hardware, browser version or version of macOS. But if you're like most people (me included), you DO upgrade those other things. And as a result, you'll need to upgrade 1Password as well in the foreseeable future. On behalf of Lars you're very welcome.